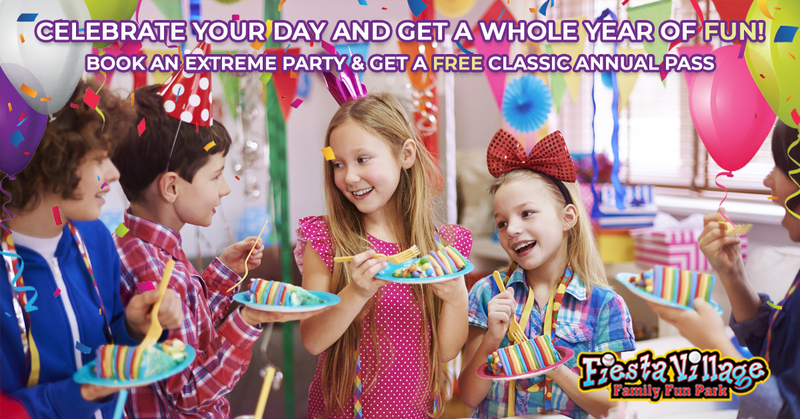 Celebrate your day & get a whole year of FUN! 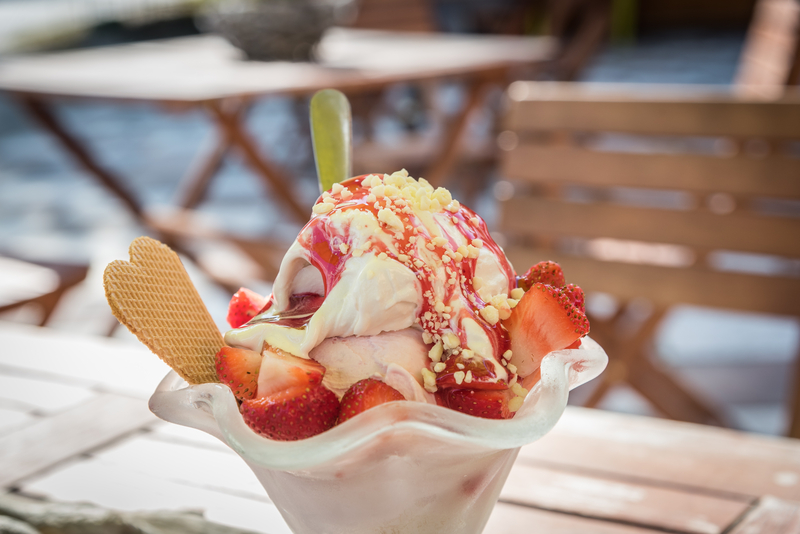 Last Tuesday of the Month for guests whose birthday is in the current month. 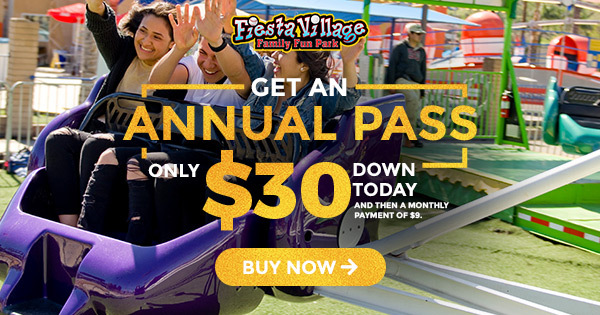 Now get an MVP Annual Pass for as little as $30 down with monthly payments of $9! 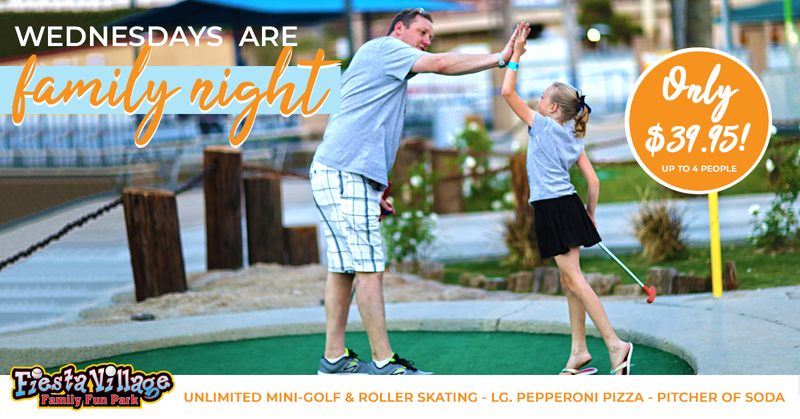 The fun starts at noon! The quest for the Golden Egg is on! HUNDREDS of eggs filled with candy and fun Fiesta Prizes. 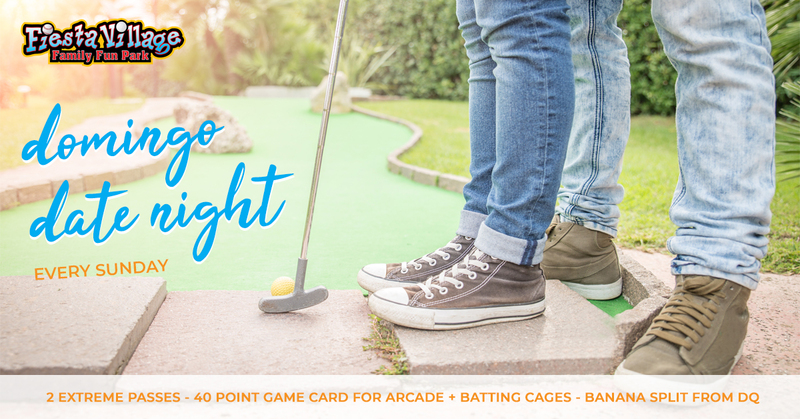 Prizes include complimentary Day Passes, Arcade Play, DQ treats, and more! A special visit from the Easter Bunny – the perfect selfie opportunity! 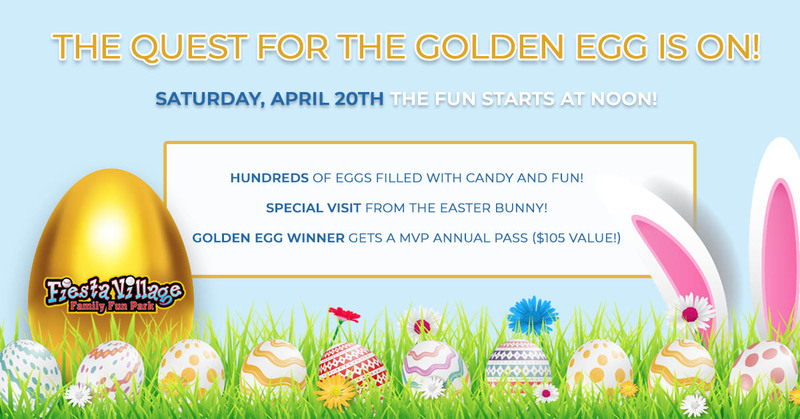 The Golden Egg winner gets an MVP Annual Pass – an amazing $105 value! 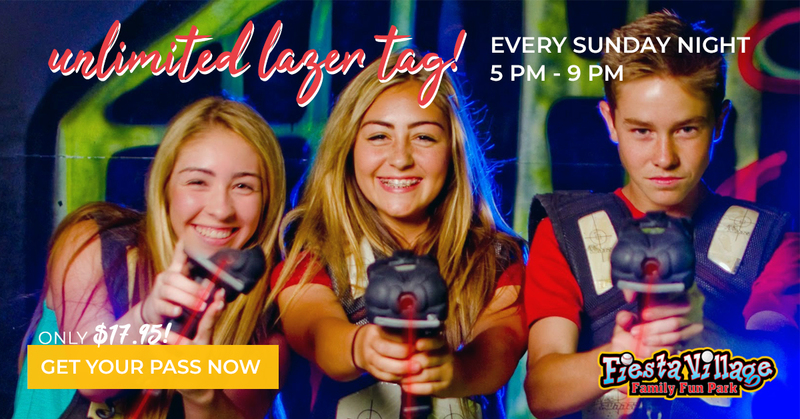 Annual Passholders get FREE entry!